must read book very educational. 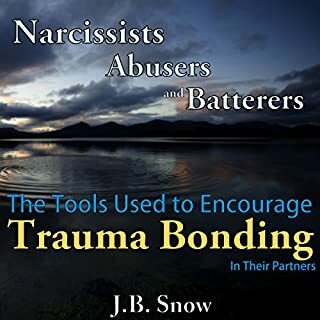 Many of my readers and listeners come to me wanting to learn more and more about narcissists, abusers, batterers, and trauma bonding that occurs (and the woman's inability to leave the toxic relationship even when she has knowledge that it is toxic). 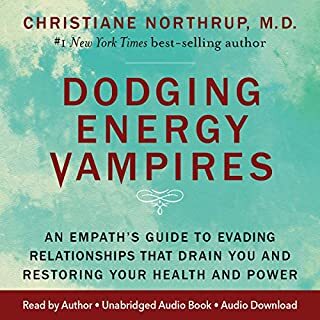 The purpose of this audiobook is to uncover the overt and covert tools that are used by narcissists, abuser, and batterers to control, cause dependency, and form trauma bonds with people whom they want to keep in their lives to feed their own egos. Many of us are battling depression, anxiety, mental illness, or personality disorders. We feel anxious, frustrated, and overwhelmed. We don't have the support systems to help lift us up and to help us cope with the stressors of daily life. We want to make things better for ourselves, but we may be at a loss as to how to do so. One of the first steps in fixing your life and your anxiety is to learn how to regulate your emotions. Our emotions cause us to feel out of control sometimes. Real heartbreak is unmistakable. We think of nothing else. We feel nothing else. We care about nothing else. Yet while we wouldn't expect someone to return to daily activities immediately after suffering a broken limb, heartbroken people are expected to function normally in their lives, despite the emotional pain they feel. 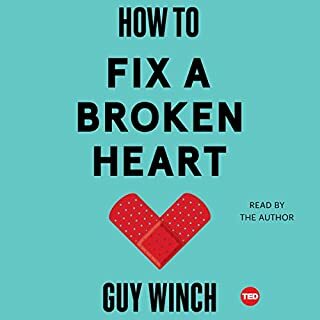 Now psychologist Guy Winch imagines how different things would be if we paid more attention to this unique emotion - if only we can understand how heartbreak works, we can begin to fix it. Listened to this and commited to letting go of Ex. I have dealt with narcissists for years in my family environment and my work environment. I have learned a few tricks in dealing with a narcissist that I would like to share with you. I have experienced their behavior firsthand. 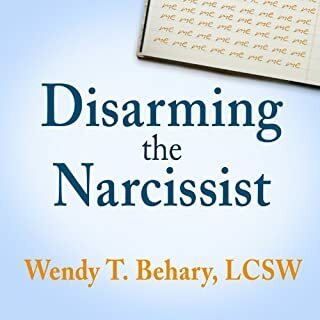 I feel that non-narcissists deserve tools to equip them in dealing with a narcissist better so that we don't fall for their malicious mind games. Narcissists employ a tactic called triangulation which causes jealousy and competitiveness in those around them. They pit two people against each other in order to make both pay more attention to him or to cause them the urge to compete against each other for his attention or for a common goal. Triangulation can be used as a tool by a narcissist for one of many reasons. He might use triangulation in order to make his partner jealous and fear losing him. Her jealousy will naturally then cause her to hang onto him much tighter and to ignore his bad behavior instead of dumping him for being a jerk. He can cheat and then blame the cheating on the person that he cheated with, pitting his girlfriend and mistress against each other to keep him out of the line of fire. 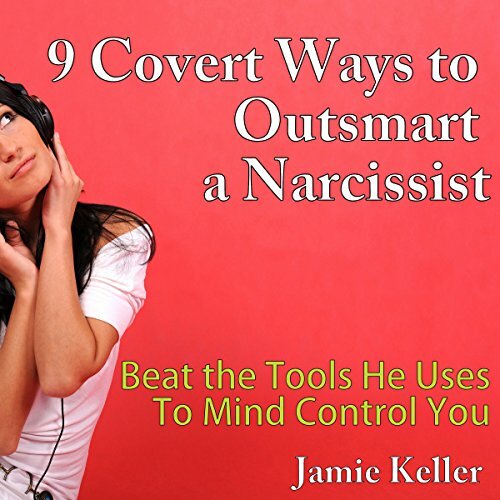 What would have made 9 Covert Ways to Outsmart a Narcissist better? 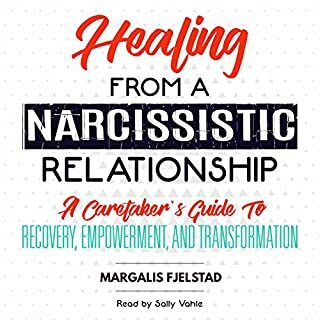 If someone is dealing with emotional pain from a relationship with a narcissist they need help extracting themselves from the relationship and creating psychological distance from that person. 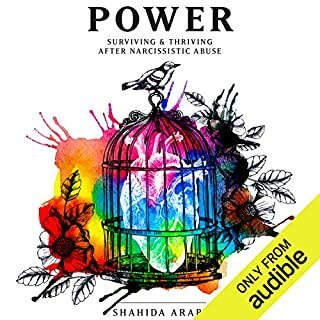 The advice in this book would deepen their connection with the narcissist and possibly cause the narcissist to retaliate against them (for narcissists staying in a relationship with someone who they think has done them wrong could be the best form of retaliation). What was most disappointing about Jamie Keller’s story? Many narcissists are sociopaths. 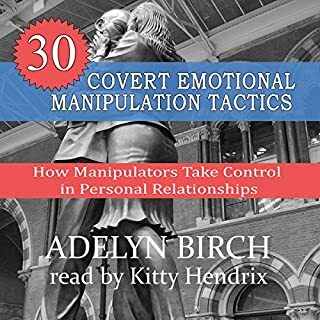 This advice in this book is likely to anger or humiliate a narcissist and create a really dangerous situation for someone who is in a relationship with them. Some of the information about narcissistic behavior seems accurate but the advice for dealing with it is comically unhealthy. Those of us in unavoidable relationships with a narcissist know the damage they do, all too well. If, like me, you are for whatever cause or reason still forced or stuck with having to deal with that person and figure out how to personally cope, you will like this book. The narration was good & fit the subject matter. The narrator wasn't half - bad, but the writing... Eesh. I actually felt sad for the author who was very clearly writing from her own experience and didn't have a single fact or study to back up her opinions. This is an opinion book and while bits here and there are interesting, for the most part, it's just badly done. Glad it was so cheap, otherwise I'd be wanting my money back. 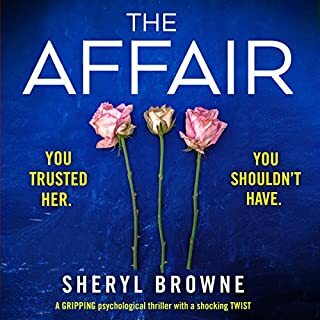 While there is some factual information in this book, the advice is mostly childish at best and a lot of it could be really really dangerous. Stay safe, to go therapy instead. 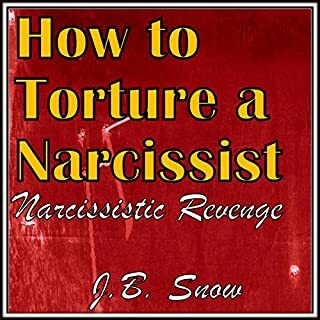 Outsmart a narcissist by becoming a narcissist? The preamble of this book leads people to belive this book is actually unisex. The only proof of that is by having a male narrator speaking the words of a woman. This is not ambiguous information. I can feel the anger and animosity oozing out of her words. There are a few bits of good information and that will lead me to further research. That is why I am giving this book 2 stars, but the overall advice given is to become a narcissist to overcome and out smart a narcissist! I do not recommend this book. I lived with a narcissist for 5 years, plus dating two. I didn't know he was a narcissist. I fell into his trap. I noticed the same reaction and behavior (his) that is described in this book. After reading this book I had an "Aha!" moment. It explained why my normal way of communication didn't work with him and only got me frustrated. 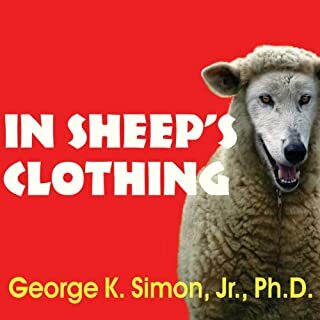 This book helped me too communicate with him and other narcissists at work. I have somewhat of a unique circumstance. You see i dont deal with this type of person (exactly @ least) on a daily basis. I am a step dad to a 16 yr old narcissist in training! Let me elaborate. My wife & i have been married for 6yrs. We are happily married & get along almost always! The part where the narcissist comes in, is my wifes ex husband! He could quite possibly be the true inventor of narcissism! lol Even though he personally is not in our lives, his 16yr old son is. My step son (Matt) is a very intelligent, creative, intuitive kid, that he impresses me as a dad. But over the last 5yrs or so, i see more & more of his dads qualities truly warping his mind. Of course he is like most teenage boys, he wants to be just like his dad. Dont get me wrong, i am by no means the perfect person. I too have my faults, & i constantly try to better myself through self help books & educating. Your book seriously hits on every single aspect i have ever seen in Matt. To pick one specific aspect of narcissism that my wife & i deal with, i would say the fact finding. We have learned thats its best too try & ignore it & change the subject as quickly as possible. Sorry for the long review, maybe i should have went to the authors blog instead. Thank you for the book though, i entirely understood it! 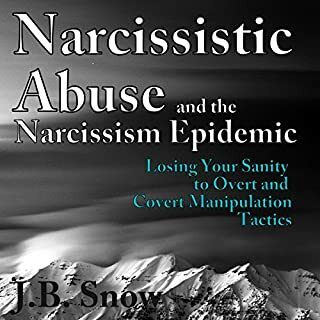 so many books on narcissism or a man woman narcissistic relationships but not that many that pertained to me, whose nieve daughter has been hijacked by a Narcissis! Narrator belongs on a radio station. I think I could have done a better job. Actual help! I will listen to this on repeat until my cognitive dissonance evaporates. Thank you. if you're struggling with a manipulative person in your life, if sometimes you feel like you're the crazy one, you're the abuser...just read it. it's short enough that you could keep it and read it once a week just to remind yourself why you should stay disengaged. very useful tips for people who have to deal with Nars in any form of relationship. These 'tips' could only work ion the very early stages of a relationship, in which case the best advice would be to get out as soon as possible. 'Don't return calls', 'Make yourself unavailable' etc. Better to read a teenage magazine advice column, or just google for a free article. A very quick and interesting read! 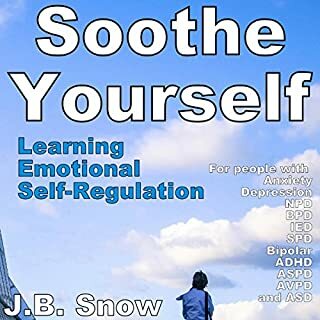 The book is very short and get be read within 30mins, this will give any busy person the knowledge they need quickly.